Now what is a currant bun you may ask? It is bun that contains currants, sultanas or raisins. Chelsea buns (similar to pains aux raisins) and hot cross buns (eaten at Easter) are the most well-known varieties of currant bun eaten in the UK. In case you were wondering, currants are tiny, dark, raisins made from black grapes. Us British do have a reputation for talking about the weather, especially rainy weather! Now why would that be I wonder! We have quite a few nursery rhymes about it too. Rain, Rain, Go Away; Incy Wincy Spider and I hear Thunder to name a few. I am no exception, every year I introduce the weather to my English students and every time we meet I point out of the window and chant "What's the weather like today?". More often than not the response is "it's rainy, it's rainy, that's the weather today!" Well, I spent the night in Nursery Rhyme Land and you'll never guess what I saw! A cow, jumping over the moon. What a strange and magical place this is. Let's continue with our adventure. Today's Nursery Rhyme is Hey Diddle Diddle. 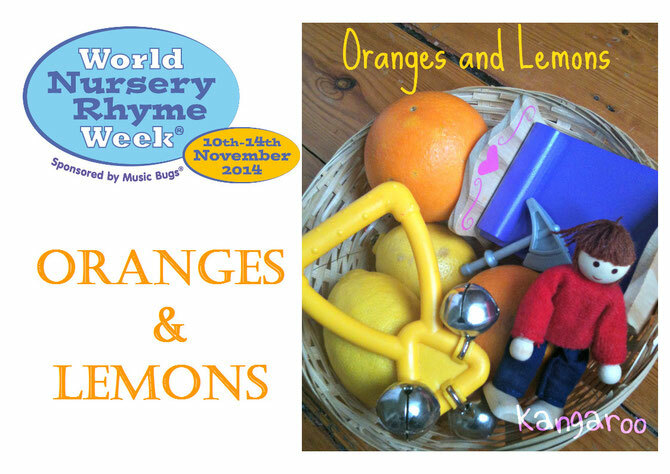 This week I will be sharing some ideas around each of the five Nursery Rhymes, picked out by Music Bugs over in the UK. All these activities are for parents/caregivers and babies and toddlers (aged between 6 months and 3 years). good place to start! The activities are based around the developmental needs of this age group. If you are learning English along with your children don’t be afraid to sing along. Don’t worry if you are not a confident English speaker. Try to relax and have fun. Children imitate everything, if you are enjoying yourself, then they will too! Let's begin our little adventure into Nursery Rhyme Land. Now, who is that Jolly old fellow over there? 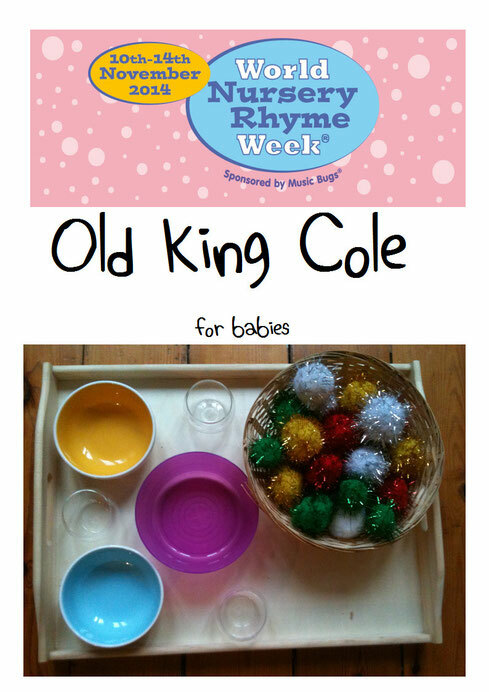 Why, it's Old King Cole ; ) This nursery rhyme was believed to have been written about King Coilus. King Coilus was a jovial but inept English king who was set up as a puppet by the Romans. 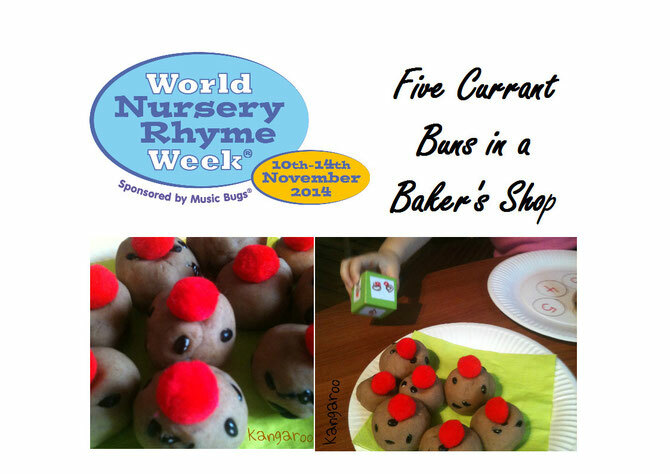 World Nursery Rhyme Week is in its second year. We had such fun last year during our Baby English classes that I thought this year I would share some of our ideas on the blog. 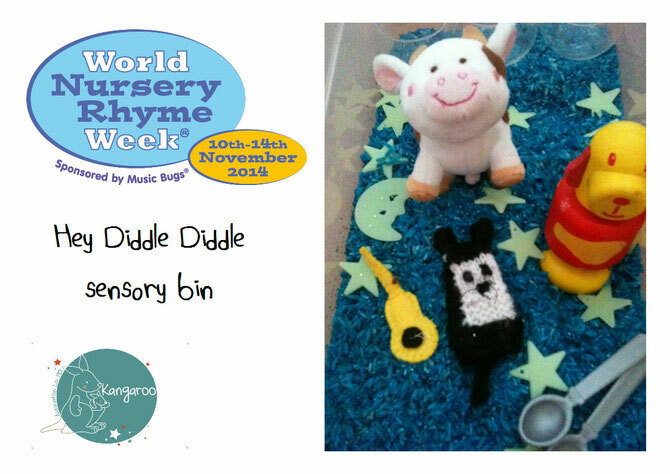 The aim of Nursery Rhyme Week is to promote and celebrate the importance of nursery rhymes. They play such an important role in early childhood development by helping children to master key skills such as language and communication as well as social, physical and emotional skills. That includes children learning English as a foreign language too! 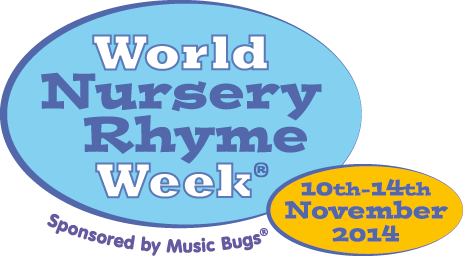 The Founders of World Nursery Week Music Bugs over in the UK pick 5 well-known rhymes and encourage us to "sing them, recite them, play them, watch them, colour them in and dance to them".